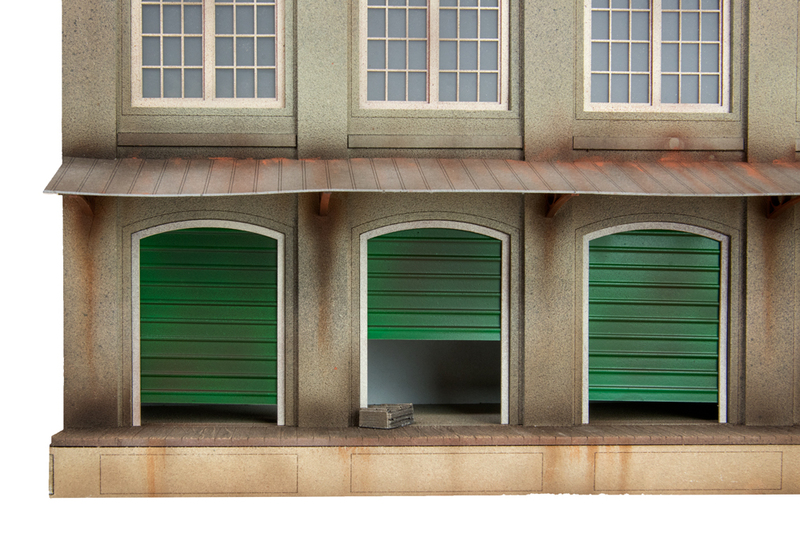 We designed this warehouse scene for the harbor area of one of our clients’ custom layout tables. 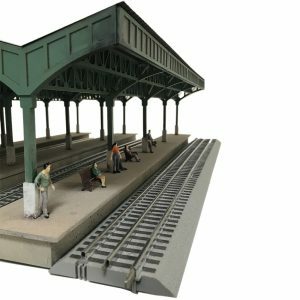 It came out so beautifully, we realized that our TW TrainWorx kit builders would love this piece! 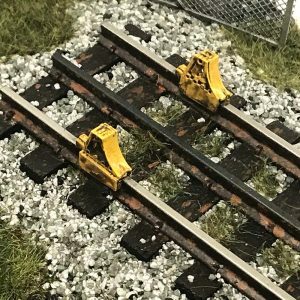 After a bit of trial and error (and the skill & patience of one of our model building customers) we can deliver this kit to you as either a single building (Kit A or Kit B) or a complete set including the connecting bridge. Assembled with carpenters or white glue, this CNC routed wood kit comes with illustrated instructions. On a scale of 1 to 10, this kit requires about an 8 in skill level to complete…a bit more difficult than our bridge kits. 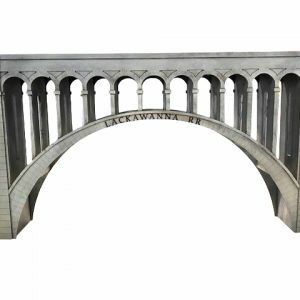 Paint with a color of your choice for a unique structure to finish off your Toy Train layout in TW TrainWorx style. 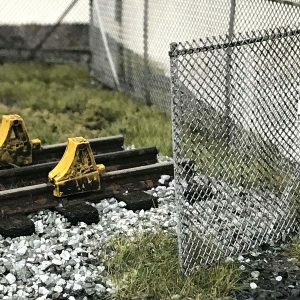 These Backdrop Kits are in high demand by train modelers across the USA! 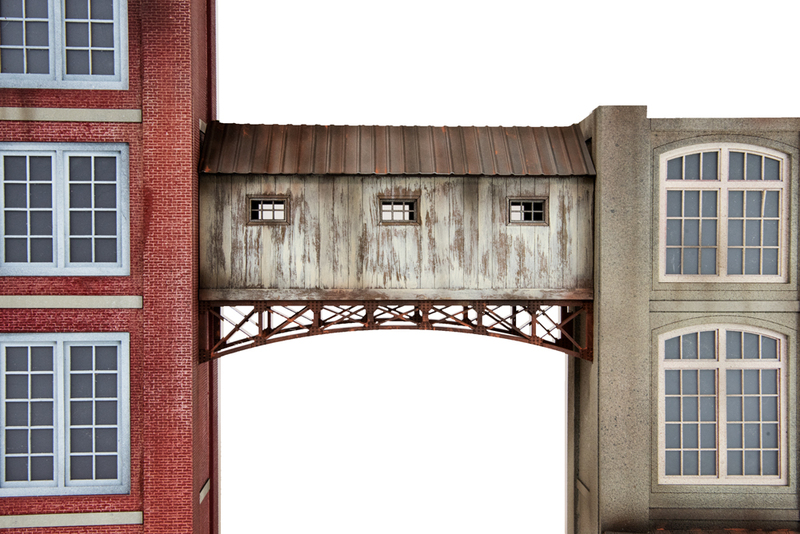 Choose between Brick Facade Building, Concrete Masonry Building, or go for the entire enchilada; Two Buildings and the connecting Bridge. Guaranteed to provide hours of modeling fun. Please Note: The bridge unit is not sold separately. 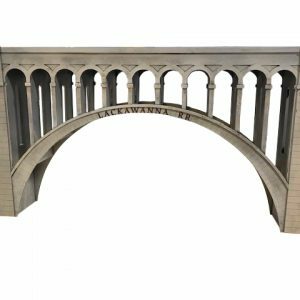 Includes the brick facade building, concrete masonry facade building and the bridge unit to connect them. Dimensions for all parts as shown together are 50 1/2″ wide by 21 1/4″ tall by 5″ deep. The bridge unit measures 7 7/8″ wide. 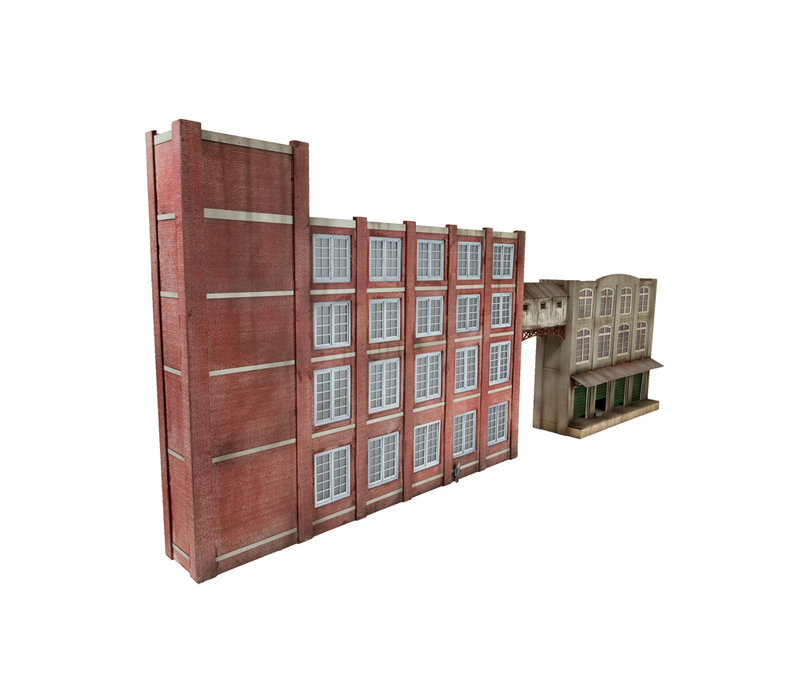 This building kit features a brick facade and, when completed, it stands 21 1/4″ tall, 26 5/8″ wide and 3 3/4″ deep. 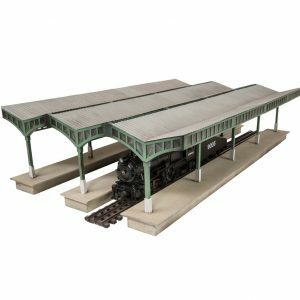 This building kit features a concrete masonry style facade and, when completed, it stands 14 1/2″ tall, 16 5/8″ wide and 4 1/2″ deep.